For years the moldboard plow was the farmer’s first choice for turning the soil at the beginning of each growing season. 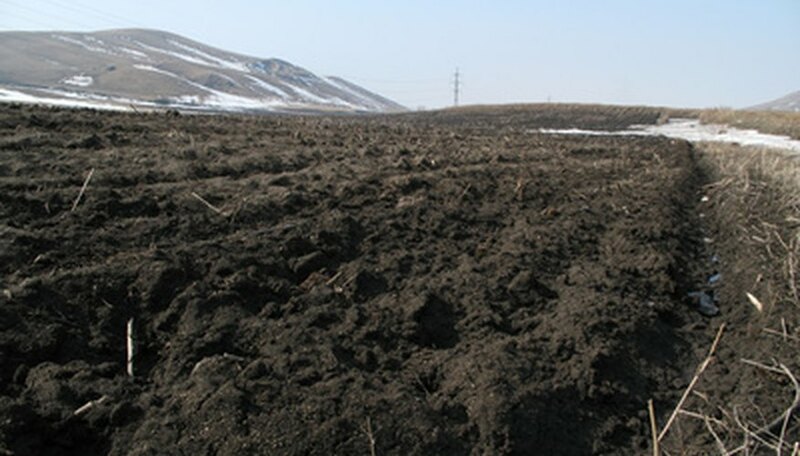 With today’s no-till farming techniques, farmers only use moldboard plows for special circumstances such as plowing up sod or trying to eradicate particularly difficult weeds. Even though the plow the farmer pulls today looks similar to old-fashioned plows, modern moldboard plows have special plow shears and coulters to help the farmer break through the matted grasses as he turns the dirt over. Add front end weights to your tractor to counterbalance the weight of the plow mounted on its rear end. Attach the plow to the tractor. If the plow is a fully-mounted model, you attach it to the three-point hitch, which raises and lowers it. A semi-mounted plow, which usually has more than four bottoms or moldboards, makes use of the three-point hitch as well as the tractor’s hydraulic system. It uses a rear tire to help support the weight of the plow. Adjust the plow’s settings, which includes the width of the furrow it will make. Plow a short distance. Make sure the plow frame sets level from front to back. Adjust the top bar of the three-point hitch if necessary to level the plow. Level the plow from side to side by using the tractor’s lift arm crank. Check the settings of the coulters. They should cut through the soil in a clean line two or three inches to the left of the landslide. Start your first round on a long side of the field. Lower the plow into the ground and run the tractor at a speed recommended by the plow manufacturer. Drive in a straight line so that the furrows turn evenly. If possible, use an object in the distance as a visual reference to help you keep your first line straight. Raise the plow at the end of the row in time for you to have enough room to turn. Go to the other long side of the field and plow another straight row. If the field is really big, you may need to divide it into sections. Return to the first row you plowed. With your right wheel in the furrow left by the first pass, plow another straight row. Once the initial passes are complete, you have the furrow to use as a guide. Repeat this process until you finish plowing the field. The furrow from the last pass, or dead man furrow, is going to be lower than the rest. You can plow over that furrow one last time to even the ground. Check periodically that the plow shears and coulters remain free of debris. If necessary, remove the debris.